2013 has been an exceptionally fruitful year for CD releases. Several of the groups I perform with regularly have new recordings out, including La Nef, Trifolia, Small World Project and Bomata. 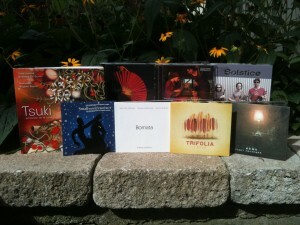 In all, I’ve added a total of 8 new CDs of pretty great Canadian music to my discography. Have a listen to some of the new tracks and click on the Buy CD links to get your copies (or contact me directly, and tell me what you think)! This entry was posted in News and tagged bomata, la nef, small world project, Trifolia. Bookmark the permalink.